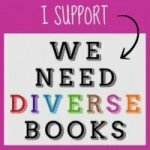 Review of The Eighth Menorah & 2 Book Giveaway Opp! The Eighth Menorah by Lauren L. Wohl with illustrations by Laura Hughes, Albert Whitman & Company, $16.99, ages 4-7, 2013. The Eighth Menorah, (Albert Whitman & Company, $16.99, Ages 4-7) by Lauren L. Wohl with illustrations by Laura Hughes, is reviewed by Ronna Mandel. Growing up, I had one favorite menorah. It looked ancient to me with its pretty patina of brass and oxidized green brass, covered with assorted lava-like formations of old wax. My family also had an electric menorah we’d display in our front window. As a parent I now have four menorahs, one my husband and I were given as a wedding gift, a mini travel one, and the two my children made in Sunday school. 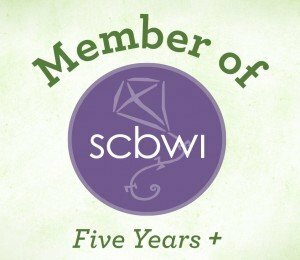 That’s why when Good Reads with Ronna was invited to participate in this special opportunity from Albert Whitman & Company, I didn’t hesitate to say yes. And to celebrate the early arrival of Hanukkah this year, we’re giving away two (2) autographed copies of The Eighth Menorah, a terrific new picture book reviewed here today just in time to share with the family! Just LIKE our Facebook page and/or follow us on Twitter first. For your chance to win, send an email by clicking here to enter. Please remember to include your name and address and write MENORAH in the subject line! This giveaway ends on 11/21/13 at midnight and two (2) winners will be selected on 11/22/13. For detailed rules click here. HAPPY HANUKKAH and good luck! 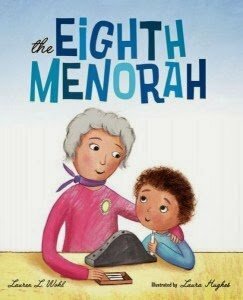 With The Eighth Menorah, Wohl has created an amiable young character in a just-right-to read-aloud picture book. Sam is a Sunday school student who’s reluctant to participate in his class project. Mrs. Zuckerman, Sam’s teacher, has asked the students to make a menorah from clay using stones, marbles and buttons, but Sam knows his family already has seven menorahs at home. He’s convinced an eighth menorah is simply not needed. The colorful and emotive illustrations by Hughes show Sam’s close relationship with his grandmother with whom, via telephone, he sort-of shares his Sunday school secret. Sam says the secret’s about something the kids are making in Hebrew school without revealing exactly what that something is. “It’s a secret, Grammy.” When soon after Sam learns that safety rules at Grammy’s new condo do not allow open flames unless they’re in the community room, Sam thoughtfully invites his grandmother to join him at home for the first night of Hanukkah. Having been instructed to bring the menorah home and hide it before presenting it to his family, Sam now realizes he has a clever and caring solution for the one-too-many menorahs. I hope when you read this super spirited holiday story, you’ll note the significance of the eighth menorah and rejoice in the way it lights up so many people’s lives! Click here for a fun activity – a dreidel game that’s at the end of the book. These other bloggers are also sharing a giveaway opportunity courtesy of Albert Whitman & Company. Why not visit them all to increase your chances of winning?! Find their posts now through 11/15/13. 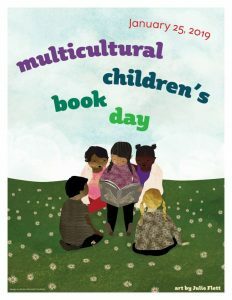 The other bloggers are http://dulemba.blogspot.com, http://mcbookwords.blogspot.com, http://www.buriedinbooks.blogspot.com, http://www.thechildrensbookreview.com, http://smartpoodlepublishing.com/blog, and http://fourthmusketeer.blogspot.com. What happens when your dad, who grew up celebrating Christmas, and your mom, who grew up celebrating Hanukkah, get married and raise a family? They celebrate both holidays, that’s what! In the 21st century when more and more families are interfaith ones, it’s common to find beautifully decorated Christmas trees alongside brightly glowing Hanukkias (the special Hanukkah Menorah with places for 9 candles). Daddy Christmas and Hanukkah Mama written and illustrated by Selina Alko ($16.99, Knopf Books for Young Readers, ages 5 and up) brings the right mix of both family traditions in an easy to understand, thoughtfully illustrated picture book. I think it’s fantastic how the family featured in the story embrace both holidays. Together they prepare a meal for the last night of Hanukkah including turkey stuffed with cranberry kugel dressing while Mama makes “jelly donuts and fruitcake for dessert.” Throughout the home readers will see festive decorations of Mogen David (Jewish stars), candy canes, mistletoe and poinsettias. And while there are indeed gifts galore for the two holidays celebrated, it’s really not about the gifts, but about families being together. The story of the miracle of the oil that lasted eight nights is shared for all to enjoy. Soon after presents are unwrapped from under the Christmas tree, the family relaxes and soaks up the last vestiges of the blended holiday festivites that will become memories to cherish for a lifetime. Also included in the end pages is the Cranberry Kugel Dressing Recipe if your family would like to add this delicious food to your seasonal repast repertoire. So get out your dreidels, your Hanukkah gelt, string lights up on your Christmas tree, and celebrate all the positives of being a blended 21st century family. With six more nights of Hanukkah and just three more days until Christmas, you might be taking a break from books. Maybe your children are already on school vacation and you’re looking for some new ways to keep them busy. Try a little togetherness and a you’ll provide healthy distraction from computer games and other electronics. Perfect for the whole family, here are some simple and fun ideas from Pottery Barn Kids for hands-on holiday activities that keep you, and the kids happily engaged and entertained. Holiday treats are extra sweet when shared in homemade containers. Part party favor and part accessory, kids will love customizing these Personalized Take-Out Containers, Glass Cookie Jars and Cookie Boxes, then filling with delicious cookies and candies! Check out these tips for planning a Christmas Cookie Exchange, including recipes, invitations and “how to” videos. Last-minute wrapping to do? Give your presents that extra little flourish of hand-crafted care, and try one of our creative approaches to gift wrapping. Make your presents even more magical this season with Starry Wrap, Keepsake Footprint Paper and Rudolph’s Nose Wrap. Share the joy of Hanukkah! This crafty Menorah is easy to assemble – and best of all, kids can “light” the candles on their own to celebrate each night of Hanukkah. Bring a little sparkle to Hanukkah celebrations with these creative Glittery Dreidel Place Cards. They’re simple for kids to make and add a fun element of festivity to the table – plus, they make great party favors!Plan your own Hanukkah festivities with tips and recipes from Pottery Barn Kids. For more holiday ideas or for inspiration and advice year-round, visit the Pottery Barn Kids Design Studio.